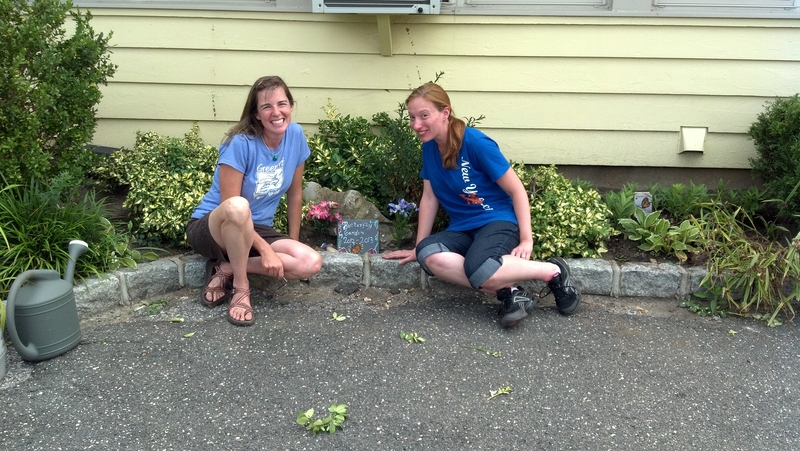 Congratulations and a huge thank you to the students of I. L. Peretz Jewish School for helping the monarch butterflies! 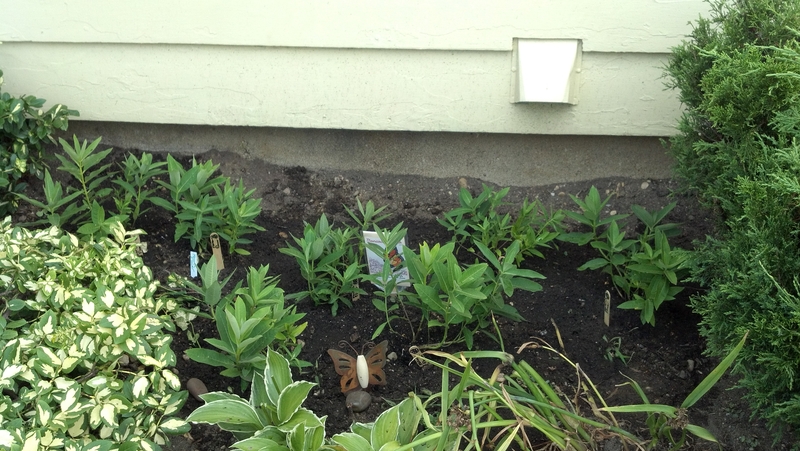 On July 14th, ten monarch flower plants (Asclepias syriaca) were planted in the school’s front planting bed on East Meadow Avenue in East Meadow, NY. Amazing experience! 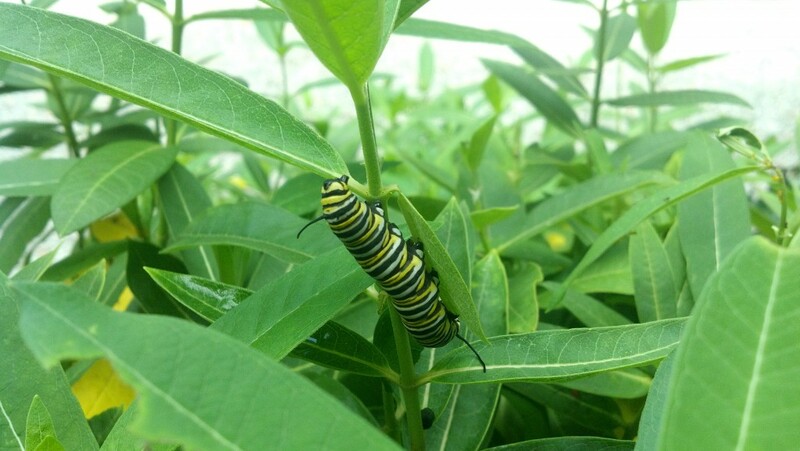 While taking the plants out of the car, one of the students said, “What is that?” I had no idea what she was talking about until I saw it – a monarch caterpillar was already on one of the plants munching away on the tip of a leaf. Then, within a half hour of planting the perennials, a monarch butterfly fluttered out of nowhere, past whizzing cars, right to our plants! Amazing how monarch butterflies are able to find the Asclepias – the only plant upon which they will lay their eggs. Considering that a female monarch butterfly lays 500 eggs on average but only about 10% of the eggs survive to adulthood (University of Minnesota, Monarch Larvae Monitoring Project), we need to plant more and more of this stuff to help the monarch butterfly population rebound. Thanks again to I. L. Peretz Jewish School for helping the butterflies. Every single monarch flower plant makes a difference! A Caterpillar Was Already On The Plant!